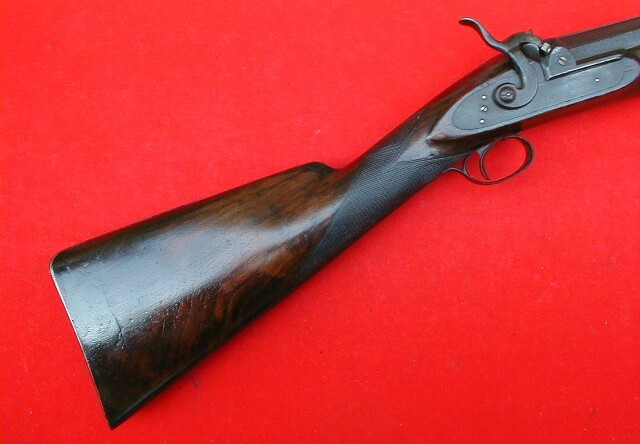 Early American percussion punt gun. Very heavy and massive hunting weapon! 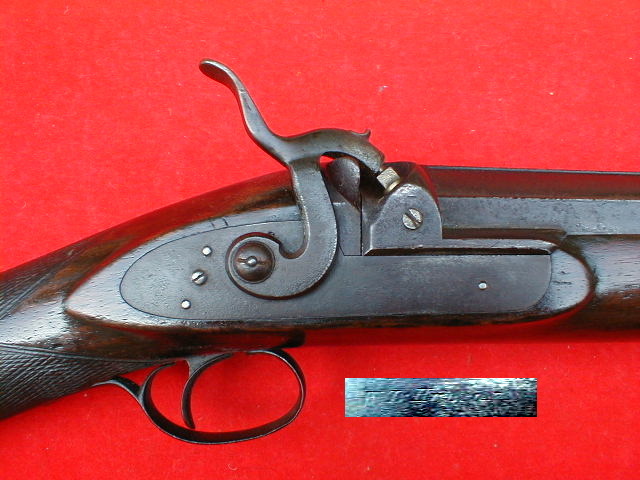 The gun was made most likely in 1840-s period. 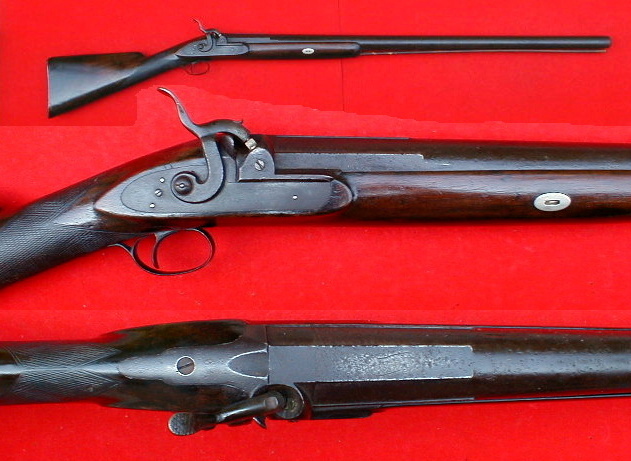 Similar guns were made in Baltimore and used extensively in Maryland's East Shore for duck hunting. 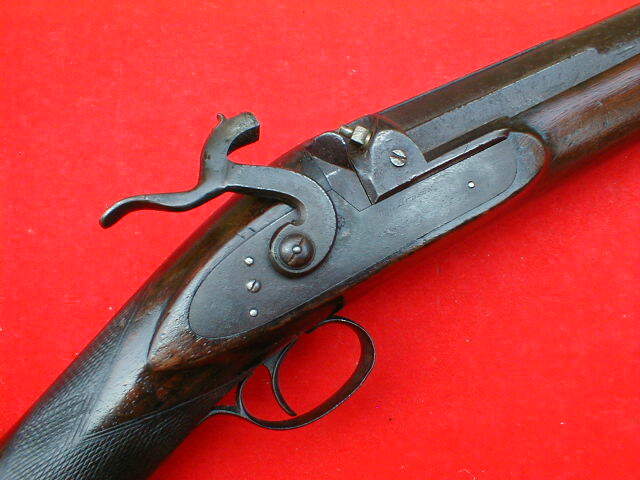 The lockplate displays a gunsmith marking, "W.L. 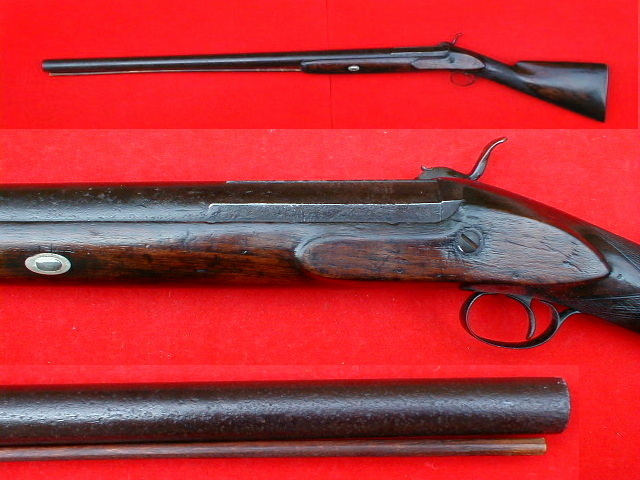 Hudson" (most likely a gunsmith from Cincinnati, Ohio). 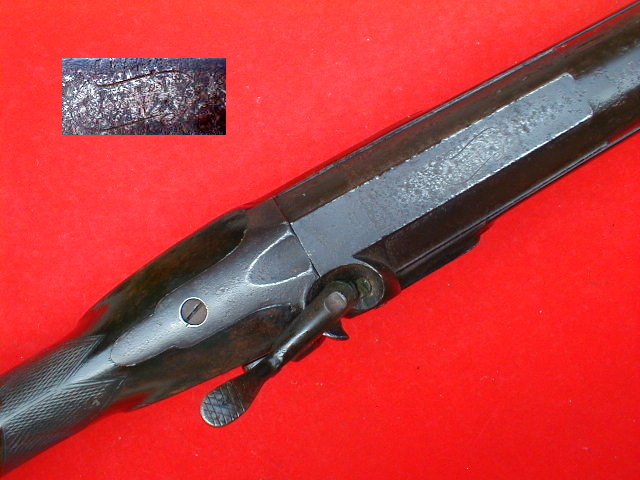 The octagonal part of the barrel displays markings that are difficult to decipher due to the massive build up of black patina/corrosion (please, see pictures). 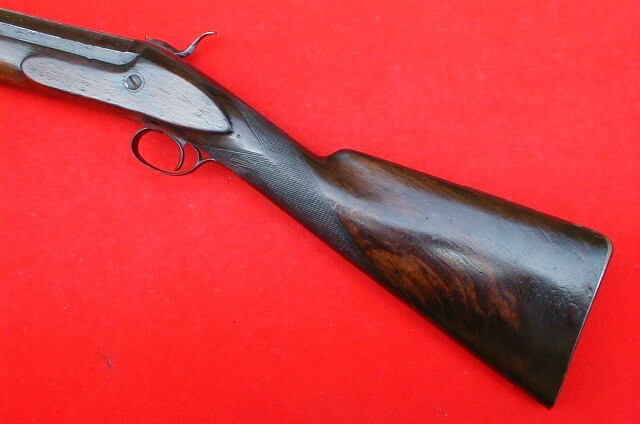 Massive half stock with diamond checkering at the wrist. The barrel may have been shortened long time ago.